Updated Sunday February 24, 2019 by Gloucester Lacrosse Association. 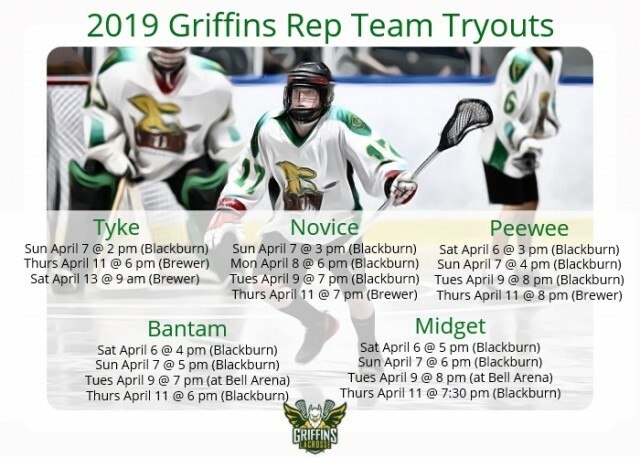 Below are the tryout dates and times for the Griffins Boys 2019 Competitive teams. Tryout fee for all age groups will be $20, payable at the first session. If you have any questions please contact GLA Competitive Program Director, Jamie Leveille (jamie@gloucester-lacrosse.com).